Markham, ON - As a carrier founded in 1968, Halvor Lines has quite a resume. It has an on-time delivery rate of 98 percent. It's been named carrier of the year - twice - by United States Gypsum. 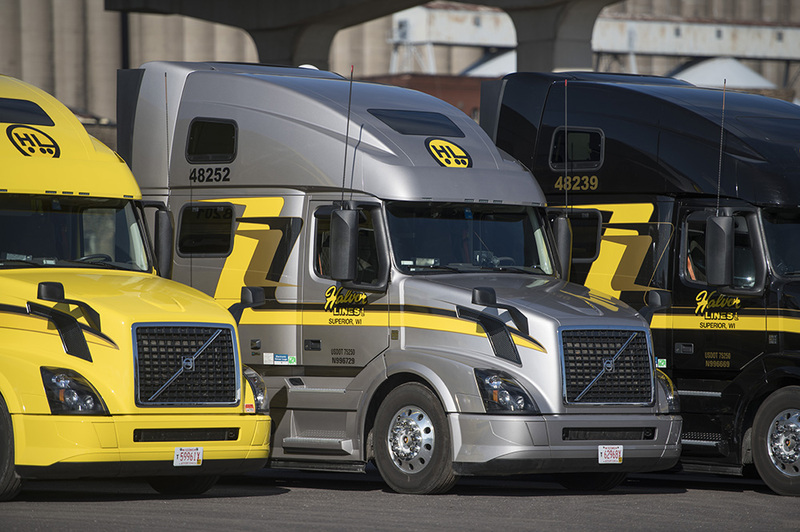 It's been a Best Fleet to Drive For®, for five consecutive years. It's environmentally minded - having been selected by a major trade magazine of as one of the industry's top 50 green fleets. And the fleet is safe - recognition has come from its home state of Wisconsin (first place in the more-than-5 million-mile category), along with first place in TCA's National Fleet Safety Award for safety and security division. According to Adam Lang, Halvor's chief risk officer, those metrics have taken a lot of hard work and effort. "It's accomplished by treating our customers right and having an open and honest relationship. And, it's by living by our motto that our drivers are captains of their ships. If our drivers don't feel safe in any situation - like in bad weather - our first response is ‘what would you like to do?' Our first and foremost concern is for our drivers and their safety. So, if there is a delay in getting a shipment to a customer due to our driver-first mentality, we let the customer know what's happening -- and they understand. That's why it's so important to have the open line of communication with our customers. This way we're all working together." Based in Superior, Wisconsin, Halvor Lines operates 438 power units - mostly late model Volvo 780s with the average age less than 24 months. 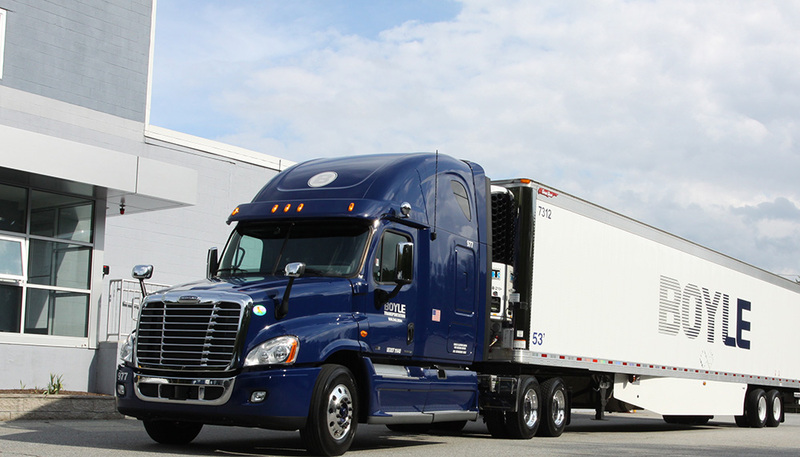 It runs a mix of flatbed, dry vans, and refrigerated units throughout the United States and Canada. Its dedication to drivers is reflected in a turnover rate of just 38.5 percent. "We're a Certified Top Pay Carrier with the NTI (National Transportation Institute)," said Lang. "And, we have low CSA scores thanks to our culture of safety and new equipment, plus a wellness program. We also have an engaged leadership team and an all-inclusive culture." Having safe, well-trained drivers is a key to success at Halvor. Lang said the company leaves no stone unturned with its safety efforts, which includes working with CarriersEdge. "We've evolved our training," he said. "We're working with CarriersEdge during new driver orientation, plus use their modules for continuing education as drivers continue on with us. It was a needed change of direction for our company. Before CarriersEdge, we were running up to five hours of safety and training videos during orientation, and while it checked off the box that drivers saw the video, they really didn't absorb the content. It was easy for them to zone out while watching. Our orientation modules with CarriersEdge - which go over C-TPAT and Security and Threat Awareness, provide our drivers with information, along with tests that engage them. They retain the information. They learn." Those orientation modules dovetail with hands-on learning. Halvor has its own L3 truck simulator at its headquarters and new drivers typically drive the "low bridge simulation" to test their driving skill. "We also have continuing education with the simulator - having drivers come in once a year to test their skills against various driving scenarios," said Lang. While on the road, Lang said education continues. "Our safety team works with our drivers individually, and if they sense a need for training in one area, or sharpening a driver's skill in another, they choose from CarriersEdge's list of training modules. Our drivers like this method since they can use their laptop or tablet and do the module when it's most convenient. And, we can monitor how our drivers are doing and record their progress. What's more, our team really likes the functionality we have with CarriersEdge. We're able to upload our own material. We've been using the Smith System on defensive driving -- all drivers are required to take this advanced defensive driving course conducted at our Superior and Inver Grove Heights terminals. It's eight hours of paid training. The refresher courses are then taken on-line through the CarriersEdge portal." According to Lang, one of the modules from CarriersEdge even contributed to saving the day when a driver was hauling a load of turkeys recently. "A reefer ran out of fuel, and the driver couldn't remember how to prime the motor to restart it, so he called his trainer," said Lang. "Our trainer, Bob, was trying to verbalize how to do it, but then recalled that the CarriersEdge module on reefer operation actually went over the process. So, while on the phone, the trainer instructed the driver to use the CarrersEdge app on his phone, and look up the food safety module. He did, he followed the steps and got the motor started. That was big for us - the driver was in Texas and if he waited too long, we could have lost the load, which was valued close to $80,000." Lang said he's a big fan of mobile training for drivers. "It's efficient and the way CarriersEdge puts its training modules together, the drivers learn and are engaged. And, CarriersEdge is preferred by drivers. We had a new driver come in for orientation - he had been with four companies over the past 10 years. He asked about training, and we told him about our program with CarriersEdge. He let out a sigh of relief, and said, ‘that's great, I was hoping I wouldn't have to sit through a series of videos.'" According to Lang, driver training today is a far cry from where the company was when he started at Halvor in 2012. "Back then we had our drivers come in three times a year for company-wide driver training and meetings on company progress. It slowed down productivity and the drivers weren't always happy about having to spend the better part of a day at the terminal instead of putting miles on the trucks. It was also inefficient and costly for the company. We knew we had to do something different; something; something better. And, with CarriersEdge, coupled with our other programs, we are. Drivers learn better when they can choose their own learning environment." Markham, ON - As a professional truck driver for 10 years and seven years in operations and safety management, Michael Lasko knows a thing or two about what resonates with drivers. Now, serving for the past three years as manager of safety and quality for Billerica, Massachusetts-based Boyle Transportation, he's putting that knowledge to work in helping to build an award-winning fleet that hauls security-sensitive cargo. Operating a fleet of 65 tractors, with 10 more on order to handle growth, Boyle Transportation was recently awarded first place by the Truckload Carriers Association in its fleet safety awards program (5 million to 14.9 million category). The company has also been named a Best Fleet to Drive For, for the past three consecutive years. "There is absolutely a correlation between the two awards," said Lasko. "If you have a culture of safety and work with drivers as professionals - helping them improve in specific areas and treating them with the respect they deserve - then you're working together in partnership. We feel we do that, and it helps contribute to our low driver turnover rate. And we also feel it plays a part in reducing accidents and having a confident and professional driver behind the wheel." According to Lasko, the company primarily serves clients in the defense and life science/healthcare sectors. Finding the "right" driver for Boyle doesn't come without its challenges. "Professional driver candidates need to be able to pass an extensive background check before being hired, in addition to having a strong safety record." he said. But, those who join Boyle typically stay. In 2017, the company had an internal turnover rate of just 11.9 percent (once retirements are factored out). "Keeping that number low is critical to us, since we have specific requirements in the hiring process," said Lasko. "When we do hire drivers, we have a one-week orientation program that is very thorough, plus we assign a driver mentor. As for training, it goes from A to Z, and includes the Smith System driver training program. We will do classroom work, plus hands-on work in the yard. The orientation process is long, compared to other carriers, but we feel it prepares our professional drivers well for working with us. We also individualize our instruction during orientation. If we see an area where a driver might need more instruction, we then utilize driver training modules from CarriersEdge. For example, if a driver needs to develop more skills and knowledge in hazmat hauling, we can have the driver take that online coursework. CarriersEdge training modules are put together well. They are comprehensive, relevant, and keep the driver engaged. We know the driver will become more knowledgeable after finishing the course." Boyle started using CarriersEdge in 2016. "Prior to CarriersEdge, we had been using a video-based training program, but we felt the material was a bit dated and drivers weren't engaged. They'd start to nod off. Then it seemed like the questions at the end were not well thought out…if your heart was beating you could answer the questions." Lasko said with the way CarriersEdge puts together its training modules - through animation, video and text, coupled with questions along the way - drivers stay engaged and "can't help but learn. They can't move forward unless they're learning and comprehending the material." Lasko said Boyle Transportation takes full advantage of the mobility of CarriersEdge, and ease of administration. "CarriersEdge has a web-based log-in platform so our drivers can do coursework on the road via their company-issued smartphone, or at home. They don't have to be at our terminal to complete a course," he said. "Each quarter we will assign a module that fits with the season, or the company and industry trends we're seeing. Last quarter, for example, we had our drivers go through the ‘winter driving' module. We also assign other course work on an as-need basis. If we have drivers who will start going up into Canada, then we will have them go through the cross-border module." Lasko views tailored training and specific modules from CarriersEdge as a helpful tool with buy-in from drivers. "Our CSA scores have been coming down since implementing CarriersEdge - they're close to perfect. Since using the training modules, our professional drivers are better versed in pre-trip inspections, cargo securement, and defensive driving. We haven't had a DOT recordable accident in the past 14 months. We really do have a solid program in place and we are always trying to improve upon it." According to Lasko, some companies overdo training when a problem with a driver arises. "Training shouldn't be punishment," he said. "I know from past experience as a driver that no one wants to take training in areas where problems don't exist. So, if a driver has an accident for example, why do a full-blown training program on material that is not relevant to the issue at hand? One size does not fit all. We do a deep dive to see what the issue was and concentrate on that. We will view video from our SmartDrive camera to understand what happened. Then we can coach the driver and assign CarriersEdge course work that addresses the issue, or do a combination, which includes in-house training. It's more helpful that way and the training is targeted to correct an area that could use improvement. From a time-management standpoint, CarriersEdge is very streamlined and easy to administer. We save a lot of time and the results speak for themselves." Prior to implementing CarriersEdge in its arsenal of training tools, Lasko said he took several courses himself. "I was the litmus test," he said. "Being a former driver, I know out-of-date and irrelevant training material only frustrates professional drivers. After evaluating the material, I knew it would be well received by our team. I think CarriersEdge has really hit a homerun in what they've put together. It's worked out great for us." As for the horizon? Lasko said Boyle is in the process of adding its own customized content related to its specialized operations. "With CarriersEdge we have the ability to add training for company policies, procedures and equipment," he said. "Their web portal makes it very easy for us to have a comprehensive, online program that is utilized, and just as important - liked -- by our professional drivers." Transpro Freight Systems Limited's Safety Program And Online Safety Training From CarriersEdge "A Winning Combination"
Markham, ON - Failed inspections, whether at a weigh station or roadside, cost time and money. Delays can hurt a carrier's performance record, which customers notice. So Transpro Freight Systems, a cross-border carrier of truckload and LTL freight based in Milton, Ontario, launched a concerted effort that combined increased maintenance staff, emphasizing the importance of pre-trip inspections in safety meetings and a lot of training for drivers, using courses developed by CarriersEdge, a leading provider of online driver training in the trucking industry. Those courses, for new hires and veterans alike, cover everything from how to check the rig before hitting the highway to refreshers on the rules of the road to minimize the sort of infractions (such as failing to signal for a lane change) that can lead to a roadside inspection and violations. The result: A 50-percent reduction in failed inspections, according to Michael Frolick, safety and compliance director for Transpro. "Our drivers are stepping up their game, and it shows" he said. "We're proud of their efforts and success." CarriersEdge training courses on subjects such as pre-trip inspections were an effective tool in helping reduce failed inspections, Frolick said, but they've long been an important part of Transpro's program of fostering a culture of safe operation. "Safety has always been at the forefront," Frolick said. "It's not just because rules and regulations dictate it. It's the way we want to operate. Safety is not an option." Transpro, founded in 1990 and acquired by Kriska Transportation Group Ltd. in 2015, has 107 drivers (including owner-operators) and more than 37 office and support employees. It operates 91 highway and 16 local tractors, 265 dry vans and 85 reefers. Transpro's safety program, Frolick said, includes everyone. "Every employee, from our general manager to our mechanics has the right to know and participate in health and safety training," he said. By sharing that training, safety "becomes embedded in them." That training starts before an employee has that first day at work or on the road with Transpro. The company's comprehensive orientation program includes 10 online training modules from CarriersEdge, to be completed before an employee joins the company. "In most cases, drivers often use the transition period from former employer to Transpro to complete the assignment, with some doing the work in one day and others spreading it over a few weeks." CarriersEdge combines extensive research into the industry's best safety practices with effective techniques to engage and educate to build a library of more than 70 full-length and refresher/remedial courses specifically designed for the trucking industry. Covering such topics as safe securing of cargo, hours-of-service rules and logbooks and defensive and winter driving, the courses are accessible any time and any place a driver has an Internet connection and a computer, smart phone or tablet. CarriersEdge also produces tools for efficiently managing and tracking employee participation in online training. Transpro makes further use of CarriersEdge training by assigning one module per quarter, or four a year, to drivers. The course on pre-trip inspections is a great illustration of how material learned in those modules translates into tangible, useful information that benefits drivers and the company. By knowing what to look for in a pre-trip inspection, whether at the terminal or on the road, drivers and managers can identify, report and fix problems, before they become even bigger issues and before they're uncovered by law enforcement. Drivers and management are both fans of the program. "They can take these classes in the comfort of their own home or if they're doing a reset somewhere," Frolick said. "It's at their convenience. They don't have to sit in a classroom for two to three days listening to lectures. They like that option." Drivers also like the style of the modules, designed with a mix of text, illustrations, audio, video and short quizzes to help them retain the information. "We've received some very positive feedback on online training," Frolick said. "Drivers tell us ‘that was interesting' or ‘I didn't know that' about something they learned in the course, or even ‘I took some notes on it.'" The training makes them safer, keeps them engaged with their jobs with up-to-date information and gives them pride in their work, he added. One driver took a module and passed, but wanted to improve his performance, so he asked to take it again. He did, and got a 100-percent score on the next attempt. The training isn't valuable only for drivers. Warehouse workers learn about cargo securement; employees throughout the company learn about rules for handling hazardous materials. For Transpro, which has been using CarriersEdge online training for three years, the benefits start with safer drivers. "We want them to return home the same way they came to work," Frolick said. "We want them back as much as their family does." Ease of use makes participation a lot easier; the interactive programs don't require a high degree of computer literacy, are interactive and provide immediate feedback to those taking the courses on how they did. By being able to reach more drivers with instructional materials at more convenient times, CarriersEdge also makes him more efficient and effective in his job as safety director, Frolick adds. Frolick also appreciates that CarriersEdge modules take into account differences in Canadian and U.S. rules on subjects like hours of service, important information for drivers working on both sides of the border to have. "Coupling online training with our orientation and safety programs is a winning combination," Frolick said. It's a combination that has helped Transpro win a lot of recognition from drivers, customers and the industry: Four-time winner in Best Fleets to Drive For. A six-time winner of The Shippers Choice Award. Markel Insurance Co. awarded Transpro Platinum Plus status for being in the top 5 percent of 1,000 carriers surveyed for safety performance. Frolick has been in the trucking business for 35 years, 22 of those as a driver. "We didn't have this kind of training when I started," he said. "We might have had a 10-minute tailgate meeting when the shift started." But drivers, employers, customers and fellow motorists need something more up-to-date, comprehensive and sophisticated than that. "I've mentioned CarriersEdge training to other people in our industry," he said. "When it's a really good product, people need to know about it. More companies are looking at ways to train their drivers. CarriersEdge is the first place they should be looking." Markham, ON - If you were to write a business plan to create and manage an extremely well-run and safe trucking company, you might start by analyzing the competition. You just might want to copy the blue print of FTC Transportation. Based in Oklahoma City, FTCT operates just 35 trucks, but the trucking company is about as blue chip as you can get. It started its life in 1986 as the U.S. and Canadian dedicated carrier to the Feed the Children Program (a global organization that feeds more than 263,000 children on a daily basis), delivering hunger and disaster relief freight. It expanded operations to "for-hire" carriage to utilize its tractor-trailers on backhauls, and when there was capacity for freight shipments. Good company to drive for? Check - it's been nationally recognized as one the Best Fleets to Drive For, for the past five consecutive years. It's also been named as one of Oklahoma's Top Workplaces for three consecutive years. Safety? Check again. FTCT has been awarded Platinum and Gold Safety awards by Great West Casualty for the past four years. The Oklahoma Trucking Association recognized the company for Outstanding Achievement in Highway Safety in 2016. The company is also a past two-time Grand Trophy winner in the small carrier division of the National Fleet Safety Awards from the Truckload Carriers Association and Great West Casualty. "Safety is at the fore-front of every decision made at FTCT," proclaims the company's website. "Hiring only the safest, most professional drivers has allowed FTCT to maintain the highest of safety standards." "Delivering our freight safely is what we're all about, and that's reflected in our mission statement," says Emory Mills, FTCT's Director of Safety and Driver Administration. "We have a responsibility to our drivers, and the motoring public." Augmenting its comprehensive safety program is a program with CarriersEdge, which provides online training - both full courses and refresher/remedial courses. "They've been a great partner in our continuing education program with drivers," says Mills. "We have a combination of safety programs at work - including a tractor/trailer walk-around, where drivers need to find planted defects during a pre-trip truck inspection. It's much like the national truck driving championship, where drivers can showcase their abilities. This is very effective, but only part of our safety program. Drivers are on the road the majority of the time. It only makes sense to have an online training program that reaches them at their workplace. And CarriersEdge does." According to Mills, the delivery of training is much better than other models the company tested. "We looked at videos, but they weren't very effective. Drivers would come in and watch a video on a specific topic, but they would not engage. They would be on their phone texting, or dozing off. We would have to bring someone in the room to just monitor, to ensure they were paying attention. For a small company, that's not a good use of our time. And worse yet, we weren't sure what information the drivers were retaining. There wasn't a test at the end." After analyzing different training systems in the industry, FTCT determined CarriersEdge made the most sense. "Their courses, with interactive experiences, are in-depth and very well put together. They are designed for comprehension in a manner that makes learning easy," says Mills. "Plus we can upload our safety newsletters and other information, such as our monthly safety meeting minutes, to our secure CarriersEdge portal, so our drivers can get all their information off one site. This makes it easy for everyone. We're also in the process of issuing tablets to all our drivers so they can review the material, and have access to CarriersEdge training and information while on the road." For Jon "AZ" Atzenhofer, training is a necessary evil. "It's continuing education - and I've seen good ways and bad ways of working with drivers," he says. A driver for 29 years, the last 10 with FTCT, Atzenhofer says one company's solution was to have a training kiosk at a terminal. "We logged on to show we were there, saw the video, then logged out to document we stayed and watched it. It was pretty much useless. Watching a video was about the last thing we wanted to do when we came back to the terminal." In comparison, Atzenhofer says he likes to do training and course work on his own schedule. "And I can start and stop when I like," he says. "With CarriersEdge, it remembers where I was in the course, so I can resume when I want. I also like how they ask questions frequently, so I stay more engaged with what I'm learning. It also has verbal information, visual information, and demonstration videos - everyone has a different way of learning. The exam at the end then tests my full comprehension, and Emory can see that I took and passed the test. It's all documented." Markham, ON - CarriersEdge, providers of online safety and compliance training tools for the North American transportation industry, today announced that Zavcor Trucking Limited is reporting significantly lower accident frequency, fine and violation rates, and improved fuel economy with its interactive training courses. "We're realizing savings in several ways by using CarriersEdge for training," said Chrissy Trombley, H.R./ risk manager at Zavcor Trucking Limited. "Our accident frequency rate has dropped by 75%, fines and inspection violations are down over 95%, and fuel efficiency is 25% above the corporate target. There is also a payoff in the time we save using CarriersEdge to manage compliance for 60 drivers. Overall, we have a safer, better trained pool of drivers with CarriersEdge for a relatively small investment." Zavcor Trucking adopted CarriersEdge online training about four years ago. Previously, the company employed traditional driver meetings and training sessions. Today, the company uses the CarriersEdge library of courses to train new drivers, including new hires without any driving experience, and for remedial and refresher training. Required courses include defensive driving and HOS and logbook instruction while drivers can request to complete additional courses for a financial reward. "CarriersEdge helps us identify training deficiencies and focus on areas needing attention while not spending time on topics where a driver is already proficient," Trombley stated. "Their adult learning approach to complex topics ensures drivers learn the material and is a gentle way to remind them about things they may have forgotten. It also keeps us compliant, and with CarriersEdge there's always a focus on responding to our needs and to providing information that's important in our operation, such as the new Border Crossing courses they just introduced." 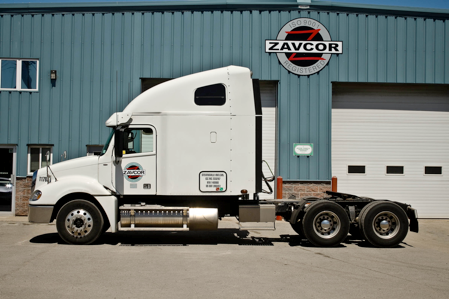 Zavcor Trucking Limited, based in Stevensville, Ontario, is a privately owned and operated transportation business that specializes in hauling temperature controlled and general freight to a growing list of shippers. The company offers services across Canada and into the U.S. with a fleet of 60 trucks. "The experience at Zavcor Trucking is proof that our approach to online training can help carriers realize cost savings and other benefits," said Jane Jazrawy, CEO at CarriersEdge. "We are pleased they have adopted our library of safety and compliance courses and our compliance management tools." For a detailed case study on how Zavcor Trucking Limited is using CarriersEdge training to lower accident frequency, fine and violation rates, and improve fuel economy, visit www.carriersedge.com/community. Markham, ON - CarriersEdge, providers of online safety and compliance training tools for the North American transportation industry, today announced that Matrix, Inc. has adopted its driver training courses and online training platform. "We moved our driver training program to the CarriersEdge platform from another provider in June of this year because its approach helps improve the safety rating of our company," said Ivelina Atanasova, an owner at Matrix, Inc. who oversees safety programs. "The CarriersEdge library of courses is more up to date and they are continually adding new topics and modules. The platform also enables drivers to better understand the material and that results in safer operations." Headquartered in Bensenville, Illinois, Matrix, Inc. is a 48-state truckload general freight, hazardous materials and expedited service provider. The carrier operates 65 trucks and employs 70 drivers, including teams. "The CarriersEdge approach enables drivers to learn a topic from their perspective, rather than simply providing a definition of the subject like our previous solution," Atanasova stated. "It teaches them what they need to do instead of having them simply watch a video and take a test. That's especially important when it comes to things like log books or hazardous materials training." Today, Matrix is using CarriersEdge for new hire orientation, including 16 drivers added since June, and to meet ongoing compliance requirements for existing drivers and office staff. The solution is also used for refresher training when a driver has a violation that needs to be addressed. All training is assigned on the CarriersEdge platform and is managed in the carrier's online safety education center. "We set out to streamline training management and improve safety for Matrix by providing courses that engage all types of drivers, regardless of their level of experience," said Jane Jazrawy, CEO of CarriersEdge. "We're pleased that after switching from a simple video-based system to our interactive instructional approach and extensive library of courses that Matrix has quickly realized the value we can provide." Markham, ON - CarriersEdge, providers of online safety and compliance training tools for the North American transportation industry, today announced that Abenaqui Carriers has full transitioned its driver training to CarriersEdge courses and its online training platform. "CarriersEdge courses are the best value on the market," said Sheryl Smith, safety manager at Abenaqui Carriers. "Other companies, including our previous provider, are either expensive and time consuming or inexpensive but have little to offer in terms of content. It's not purely about dollars and cents but with CarriersEdge we have a driver training solution that's both effective and affordable." Abenaqui Carriers, based in North Hampton, New Hampshire, is a family owned and operated diversified hazardous material carrier. Founded in 1973, the company specializes in transporting gasoline, jet fuel, aviation gasoline, propane, heating oil, bio fuels, ethanol and natural gas. Its fleet of over 50 tractors and 65 trailers services customers in New England, New York and eastern Canadian provinces from several terminals. 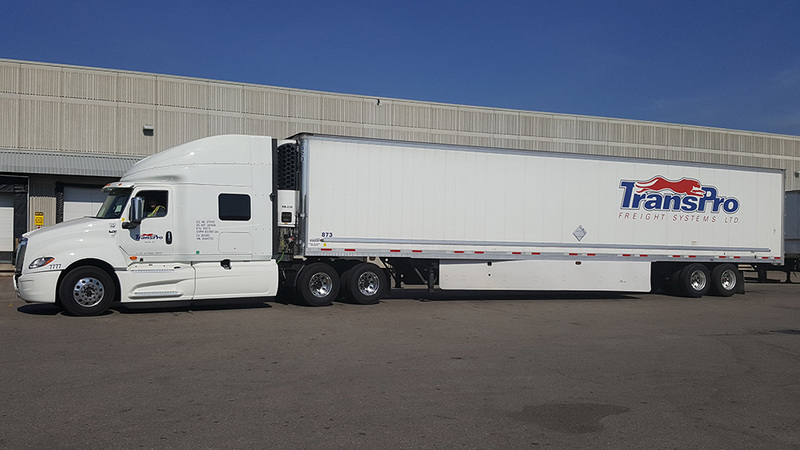 Beginning in late 2015, after using a different provider for three years, Abenaqui Carriers began providing CarriersEdge courses to its 70 company drivers, including new hires and existing operators requiring refresher and certification training. Today, the company is using CarriersEdge tests as a baseline for gauging the training needs of new drivers, as well as its Hazardous Materials training courses to maintain compliance with the C-TPAT (Customs-Trade Partnership Against Terrorism) program from U.S. Customs and Border Protection (CBP). Companies that achieve C-TPAT certification have a documented process for determining and alleviating risk, resulting in expedited processing of their cargo. "Although our previous training course provider offered a multitude of topics, many of the presentations were not of a high quality and the information was limited to a beginner commercial driver," Smith stated. "We only have to hire about one new driver every six months, and we only hire drivers with two years of over-the-road experience, but we still need courses that are informative and that are presented in an educational format that treats new and seasoned drivers as professionals. With CarriersEdge we have the content, the presentation and the testing we need. "CarriersEdge also provides an affordable means of training drivers who are based at remote locations, some as far as 100 miles away," Smith added. "Their bundled pricing structure based on the courses we provide rather than charging by driver is more cost effective, and their online instructional approach helps us keep drivers up to date on training with much less of an impact on our dispatch schedules or their availability." "We design our courses at CarriersEdge to fully engage drivers in the learning process, regardless of their learning style, age or industry experience," said Jane Jazrawy, CEO of CarriersEdge. "We're very pleased that Abenaqui Carriers has recognized the value of our instructional approach, which fosters a deeper understanding of course material than simple video-based offerings." Markham, ON - CarriersEdge, providers of online safety and compliance training tools for the North American transportation industry, today announced that Day & Ross is using its new Punjabi language courses to train newly hired drivers. The truckload and LTL carrier switched to CarriersEdge as its driver training content provider about 18 months ago. "Day & Ross has used other training products in the past but the CarriersEdge solution has the best content and its programs are current, plus we can now offer courses in Punjabi as well as English and French," said Joe Sullivan, Sr. Director, Safety and Risk Management at The Day & Ross Transportation Group. "We're hiring about 120 drivers per month across the group of companies and in some markets where our business is growing there are large populations of immigrants who speak Punjabi as their first language. The growing number of online training courses translated into Punjabi by CarriersEdge helps us ensure that essential content is understood by those drivers." Day & Ross is part of the Day & Ross Transportation Group, a wholly owned subsidiary of McCain Foods Limited. Headquartered in Hartland, New Brunswick, Day & Ross operates over 2,100 tractors with 3,800 full- and part-time drivers operating in all 10 Canadian provinces, providing LTL and truckload services, as well as service to and from the U.S. through a strategic alliance with an exclusive U.S. partner and scheduled truckload operations to and from Mexico. "We have 49 locations from Newfoundland to British Columbia," Sullivan stated, "so having safety personnel at every location is not possible. The CarriersEdge approach to online training allows our regional managers to work with our 3,800 drivers much more efficiently and effectively. The online system makes it easy to manage training for new hires and for drivers to complete remedial courses if they receive a violation." Sullivan noted that the administrative tools and reporting capabilities of the CarriersEdge platform help deliver effective online training throughout the Day & Ross organization. "CarriersEdge is also less expensive and more flexible than our previous supplier because they allow us to bundle training so we can use it for any driver and it's not restricted to one person," he added. "As we continue to grow in freight volume and mileage, CarriersEdge is helping us expand our driver pool, be better prepared and operate more safely." "Punjabi has been one of the most requested languages by Canadian fleets, so we're very excited to have the courses in that language to help Day & Ross meet its training needs," said Jane Jazrawy, CEO of CarriersEdge, "and we're pleased they have chosen us to provide online driver training for their entire organization. We are equally committed to providing our platform and training courses in languages our clients need, including Spanish for U.S. operations in the future." The CarriersEdge approach to interactive online training helps our clients improve their training and compliance programs by offering a better learning experience and content." This is a successful tool for us. We are receiving rave reviews from our drivers, and we've noticed a change in the attitude and quality of our drivers." It's a great service - you have everything we need and keep it updated as well. I've mentioned it many times to colleagues at industry events." Other vendors call me and pitch their services, but those calls are usually short - no one compares to what you do in terms of quality content, ease of use, industry specifics, and ability to tailor it to our needs." Excellent modules, excellent price - I have no problem endorsing this program." My drivers and management found the system easy to use and when we had questions, the on-line support from CarriersEdge was quick to help us out. e-Learning is now going to be at the core of our driver and management training philosophy." In the last two weeks, my staff have gone from skeptical to DEPENDENT." For us, this is the only way to go - a huge saving in training costs with little or no interruption to the movement of freight." CarriersEdge provides a compelling solution for improving driver quality and our customers absolutely LOVE it. They can't stop raving about the quality and effectiveness of the programs." CarriersEdge produces content that is easy to use for customers, and provides measurable results in safety improvement." CarriersEdge webinars generally run on the 2nd Tuesday of the month, alternating between business, training, and product areas. All sessions start at 1:00pm Eastern and are free to attend, so let us know if you're interested and we'll send you connection details. Building quality training is a tricky business. Drivers have different backgrounds, knowledge levels, and learning styles, so creating something that works well across all audiences can be a challenge. This quarterly session will review system functions, lesser-known tricks, and recent additions with an eye toward helping administrators make the most of the CarriersEdge Learning Management System. You've decided to go ahead with online training, but now you have to make it a success! Getting everyone up and running presents its own set of challenges so you need to have a clear plan. You’ve been doing classroom training for ages, but now you’ve got online added into the mix as well. Understanding when to use each delivery method is more than just a question of scheduling – they each have strengths and weaknesses so finding the right balance can make a huge difference in the success of your programs. You're implementing (or considering) online training, and you need to put together a business case that shows the investment will pay off. But how to do that? It's rarely as simple looking at crash or violation costs, so where do you start? Looking for some supporting materials to help build a business case for online training? Check out our whitepapers, scientific studies, and cost comparison infographics. A compilation of research by ThinQ on the main benefits of online training, or e-learning. Why eLearning benefits transportation more than other sectors. Evaluation of online training in the transportation sector. Infographic: How much does driver training cost? A look at the true cost of delivering just one driver meeting. All those hidden costs sure add up! Infographic: How much does compliance training cost? Whether you handle compliance training in-house or send people to outside vendors, it's a costly venture. For those new to eLearning, this webinar explains the different components, key terms, and the benefits you can expect to see. Expanded Training Program Pays Off for RBX Inc.
We Can't Do That! ...Or Can We? Fleets often have the same questions when getting started. We have the answers. Click the links below for answers to common questions about CarriersEdge. How do you ensure the content is good? The CarriersEdge product development team is staffed with expert instructional designers who have deep experience across a variety of industry sectors. Our people have developed hundreds of courses for sectors including transportation, mining, oil & gas, heavy equipment, and manufacturing. We understand how to decipher government regulations, and we understand how people who work in industrial sectors think. That's a massive depth of expertise, but we don't stop there. Our network of industry advisors and partners supplement our in-house knowledge with specialized insight in key areas. For content areas where there are recognized experts in the industry already, we partner with them to produce content that takes advantage of both our skills sets. Can I have my dispatch or maintenance staff take the courses? Absolutely! The content was designed for drivers, but many fleets find that office or maintenance staff benefit it from it as well. You can use the system however you like. What about drivers with weaker English, or who aren't strong with computers? That's not a problem. Studies have shown that online training is the most effective training method for individuals with English as a Second Language, and it's not hard to see why – they can take their time, review anything they need to review, and practice in a safe environment without having to worry about what anyone else thinks, and without holding up the class. Because courses include both text and voiceover, ESL participants will both see the words and hear them spoken at the same time, which helps tremendously with language comprehension skills. For people that don't have computers, most fleets provide one or two machines in their terminal so drivers can participate from there. What if drivers quit or new ones get hired? You can manage this on your own with the admin tools in the system. During the setup process, we'll show you how to add and delete accounts, so you can make sure you're always up to date. Driver histories are kept after accounts are deleted, so you can still generate reports even after they leave, and if they come back, you can undelete them and their entire history will be there waiting. Can drivers access it through the satellite? In most cases, yes. CarriersEdge is tested and compatible with a variety of current in-cab communication products, and we're always expanding that list. Contact us to confirm that your specific system is supported. Can I try it out? Can my drivers try it out? Absolutely! You can sign up for a trial account here. We encourage fleets to have drivers and other managers try it out as well, to provide the broadest feedback during the trial. In many cases, the drivers end up being the biggest advocates for the program. What kind of ROI will we see? You should see a positive ROI within the first 3 months of use. Using a high end price average of $6 per driver per month, in the first 3 months you'll spend $18 per driver on the program. If even half of the drivers take a course during that time, the cost per course works out to $36 – substantially lower than the cost of running an internal training session or sending people to an external training provider. CarriersEdge is priced such that the economics work with only half of the drivers taking one course per year. Most fleets have every driver take at least one course per year (some do many more) so the ROI is very strong. Will we get a break on our insurance if we sign up? In most cases, no (or at least not directly). Insurance companies generally won't offer a discount just because you signed up for a program, since that on its own doesn't lower your risk. However, if you use the program regularly, provide proactive training to all drivers, monitor the progress and follow up with those that need additional help, insurers will certainly factor that into the calculation of your risk. Of course, if you're doing all those things, your loss ratio and overall violation rates will improve as well, which will directly impact your premiums. Will this help with driver retention? It can. If you treat your drivers like experienced professionals, invest in the ongoing development of their skills, and find ways to enable that development that don't require them to sacrifice weekends or driving time, then you'll definitely see improvements in your retention numbers. CarriersEdge can be a big part of that process. What are the technical requirements? What do my IT people need to do? The service requires little more than a computer with an Internet connection and modern web browser. Some courses require the Flash player (although we're in the process of removing that requirement) but beyond that, you don't need anything special. IT people don't need to do anything special either, they just need to make sure you can get to the carriersedge.com website and that's it! Is our information safe? What about credit cards? Yes! We maintain a high security, PCI-Compliant environment, as verified by Trustwave, to ensure your personal information is secure at all time. For more information about the specifics, click the icon below. Do we have to sign up the whole fleet? No! If you want to roll it out to your entire fleet at once, you can certainly do that. However, many fleets find it works best to start with a particular group of drivers (e.g. one terminal, or maybe just local drivers) then expand to other groups over time. If you're rolling out an online service to your drivers for the first time, starting with a smaller group provides a good opportunity for people to get comfortable with the new processes, in a more controlled environment, before bringing the whole company on board. It also gives you the opportunity to collect some feedback and testimonials from that pilot group and use that in your communication plan for the wider rollout. CarriersEdge is priced so you never pay for things you don't need, and always have the flexibility to increase or decrease your licenses. Getting started with CarriersEdge is very simple. We need a copy of your logo and (optionally) your current driver list to setup your environment. That generally takes about a day and when it's done we'll do a walkthrough call where we show you the administrative functions in the system. The setup call takes about 45 minutes (during which we'll have you enter your credit card info directly into the system for billing and payment processing) and after that you're done. You don't need to attend any training sessions, or have consultants visit your office - just a logo, spreadsheet, and phone call. Need to integrate CarriersEdge with other systems? No problem! Our REST API provides access to common administrative and runtime functions so you can easily manage accounts, pull results, get module listings and even launch courses remotely.